Commonwealth 20km Walk Champion Johanna Jackson (coach: Andi Drake) will open her season at the Australian Championships held in Hobart on 19 February. Jackson, who has spent three winters down under training at the Australian Institute of Sport, now looks to build on her success in Delhi at the Commonwealth Games and also her previous outing at the European Championships in Barcelona. 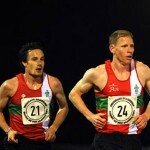 The Redcar athlete is currently taking part in the 2011 Australian Institute of Sport National Race Walking Camp which is combined with a scientific investigation into the impact on low level altitude competition. Elite level walkers will use the “live high train low” theory, living in the AIS Altitude House (3000 m) and then acclimatising at Thredbo Village (1380 m). Jackson escaped the snow and cold weather in the North of England, where she is based at the UK Athletics National Race Walking Centre at Leeds Metropolitan University, to attend the unique camp with athletes from New Zealand, Slovakia, Ireland, Canada and Sweden. Jackson will be joined in Australia by her coach Dr Andi Drake, Director of Race Walking at the UKA National Race Walking Centre, and training partners Tom Bosworth, Alex Wright and Lauren Whelan. 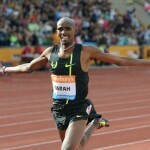 The group will compete at the IAAF Category C World Challenge 20 km in Hobart on the 19 February, before returning to the UK. 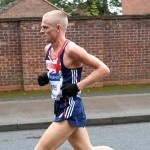 The athletes are part of a strong training group in Leeds, which also includes Brendan Boyce from Ireland who has already qualified for the 2011 IAAF World Championships in the 50 km walk. Jackson became the first British woman to take a race walking title at a major Track and Field championships when she removed the Australian 20 year stranglehold on the Commonwealth Games title, winning by over two and half minutes in tough conditions in 1.34.22. She also backed this up with a 10th place in the European Championships in Barcelona, a 3rd place in the IAAF Race Walking Challenge in Sesto San Giovanni and British records over 20 km in the IAAF Race Walking Challenge in La Coruna (1.30.41) and 10 km in Coventry (43.52). Her main focus for 2011 will be the European Cup Race Walking in Olhao, Portugal in May and the IAAF World Championships in Daegu where she will be aiming to break into the top 10 ahead of her home Olympics in London in 2012.